Restaurant and Barn in the best location in Shady Cove. Sale includes restaurant and bar business plus real estate. Owner wants immediate sale on this money makin' investment. 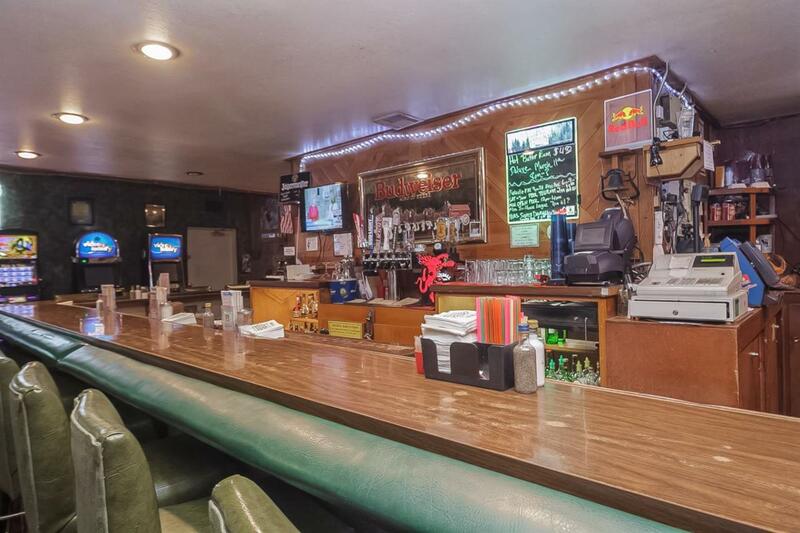 Shy's Cafe and Lounge is bustling year round and is the favorite watering hole for the Upper Rogue area. Well constructed 4440 sq. ft. building sitting on .69 acre corner lot on highway 62 and Birch, across from the Chevron station. Two sets of restrooms, banquet room and exterior smoking room. Fixtures include built in walk-in freezer, ice machine, (2) pool tables, cigarette machine (2) big screen TV's, plus fully equipped kitchen, bar, and dining room essentials (6) Lottery machines and huge paved parking lot on 3 sides of the building and comes with long term staff in place that know how to run the whole place. Excellent books and super return!!! !